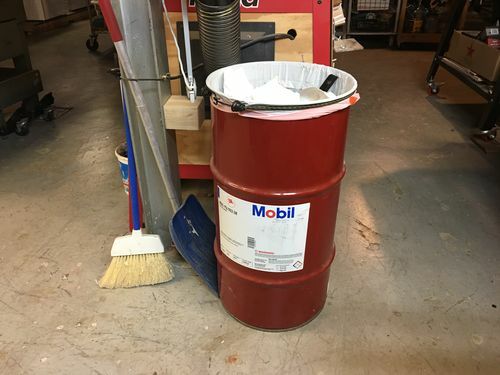 I like using a 30 gallon grease drum. A tall kitchen trash bag is a good fit, easy to lift the bag out. I have a bungee to keep it in place.